France’s iconic Hermès is launching a series of pop-up spaces, named Hermèsmatic, where customers can dye their cherished scarves to give them a new lease of life. 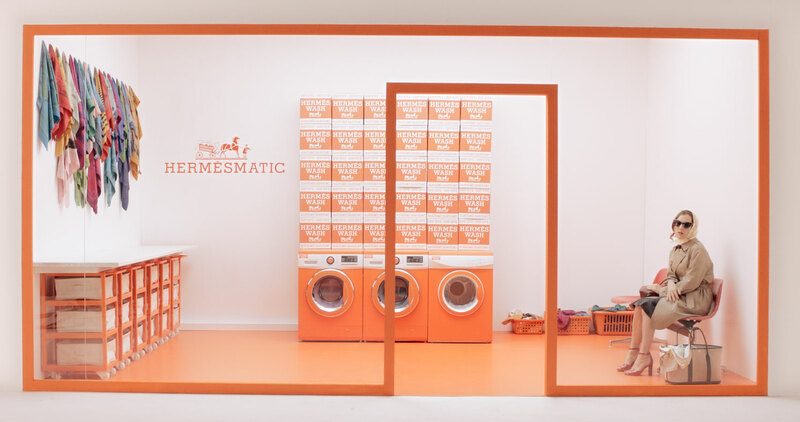 The Hermèsmatic pop-up laundromat concepts are launching in Amsterdam, Strasbourg, Munich and Kyoto. Washing machines in the brand’s signature orange color give scarves a blue or pink rinse, and a dryer restores them to their original softness. The process takes 48 hours and is free of charge for customers.